Located on the lower level of Chadstone near David Jones, Pottery Barn Kids is interconnected to the Williams-Sonoma, Pottery Barn and West Elm stores. You will find everything you need to make your kids' rooms stylish and comfortable at Pottery Barn Kids! As their name implies, Pottery Barn Kids is exclusively geared towards tiny tots, offering an exclusive range of children's furnishings, toys, textiles and accessories. Among the shopping categories to dress up your child's room are rugs and windows furnishings; lighting; storage; table top and feeding; diaper bags and totes; lunch bags and backpacks; books; blankets and essentials; and holiday gifts. This is really a one-stop destination for kids' products! Products are crafted keeping in mind comfort, aesthetics and the highest child safety standards. They can be personalized with names or birth dates using one of four design techniques. Pottery Barn's in-house design specialists provide their expert advice on finishing touches for kids' bedrooms, nurseries and playroom, at the store, at the customer's home, or over the phone. The design services are free, and help customers perfect the look and feel of different spaces of their home. 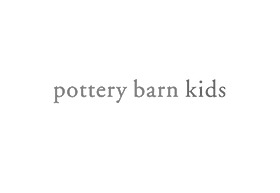 Pottery Barn Kids is for every mom and dad seeking an exclusive collection of stylish home furnishings and accessories that bring casual style to their children's rooms. Making your kids' living environment more beautiful, comfortable and personal is now easier and more convenient.